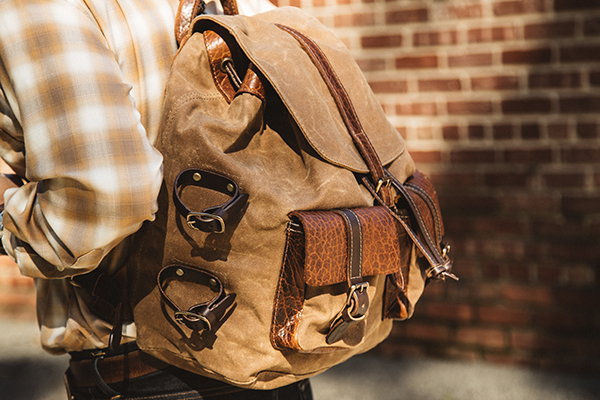 Built in our San Diego leather shop, the NEW Alpine No. 429 Collection was designed to be lighter in weight yet durable and tough. The exclusive collection has military inspired tones, with contrasting tan 18oz. 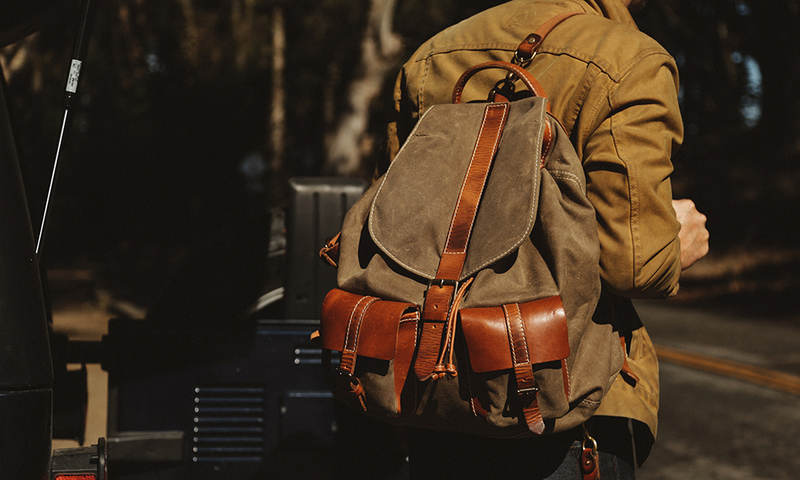 waxed canvas and your choice of Horween vegetable tanned Dublin or our signature Shrunken American Bison, both tanned in U.S.A. We use solid brass hardware, hand-stained edges and completely line each bag. 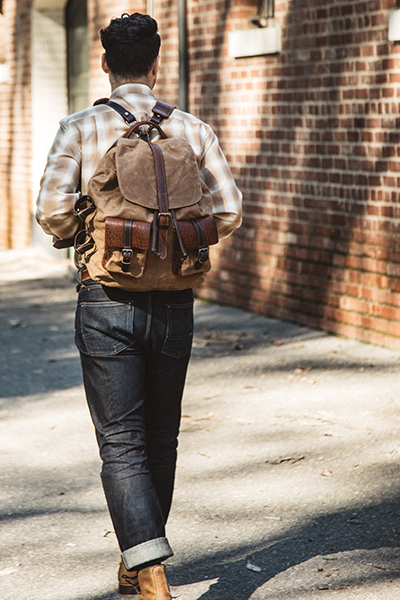 It's always a great combination - heavy waxed canvas & a great full-grain leather with real character. We start with an 18oz. cotton, waxed canvas in a filter-twill pattern. It is virtually waterproof, light-weight and very rugged. 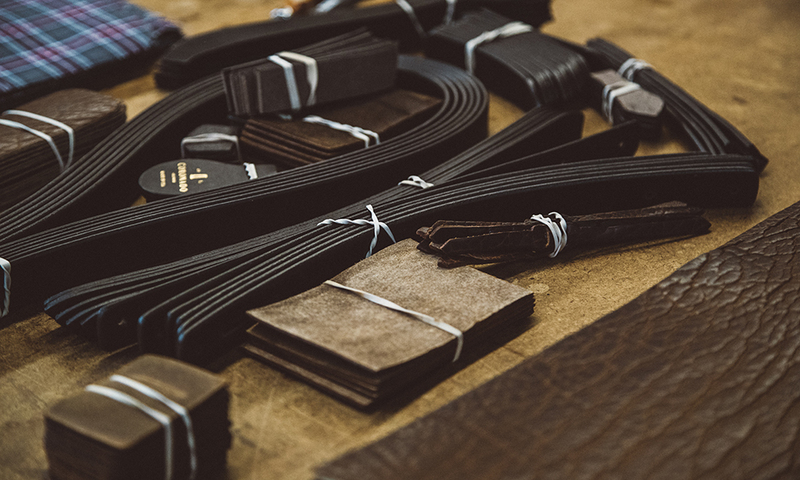 We then combine either Horween vegetable tanned Dublin leather or our signature "shrunken" American Bison leather. 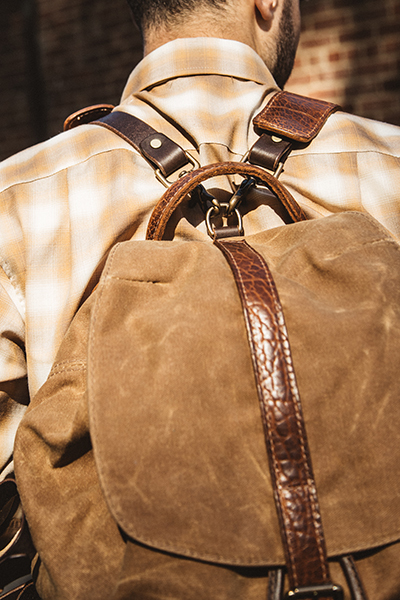 We finish each bag with solid-brass (antiqued) hardware, polished edges and a rear key-locking CCW pocket. We proudly design & craft this entire collection in San Diego, California. 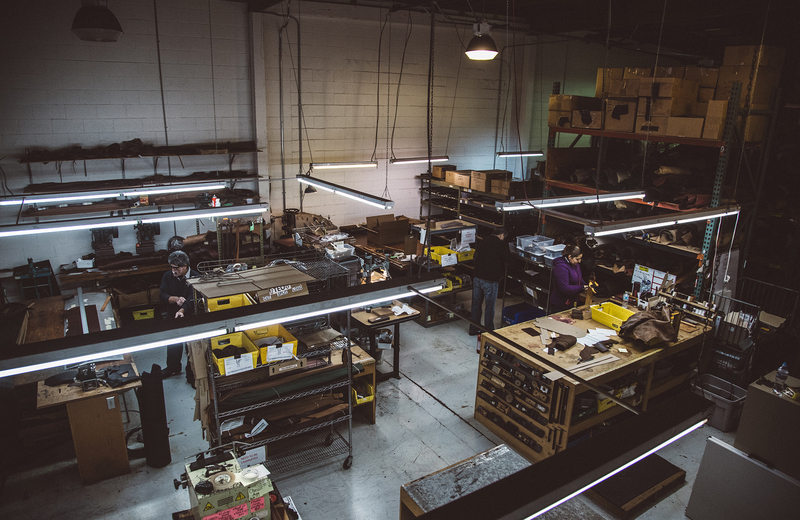 A small and talented crew of about 19 men and women all play a part in the crafting of our products. 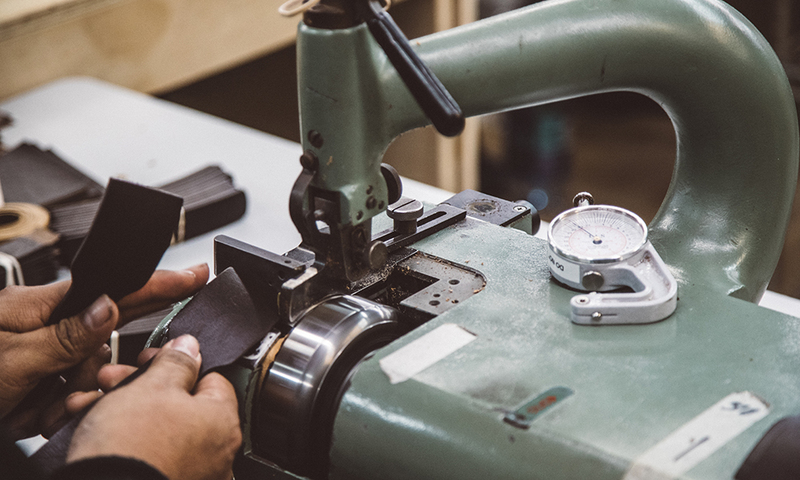 Most bags will go through as many as seven different departments and ten different people, a true team effort to build each and every Coronado Leather product. Made with uncompromising construction details like hand-cut panels, beveled, polished and stained raw edges and precise stitching makes every Coronado product unique. Horween Dublin leather, 18oz. waxed canvas and our key-locking CCW pocket. Each piece is individually serial-numbered. Shrunken American Bison leather, 18oz. waxed canvas and our key-locking CCW pocket. Each piece is individually serial-numbered. Made from the the finest combination of HORWEEN or AMERICAN BISON leathers, 18oz. 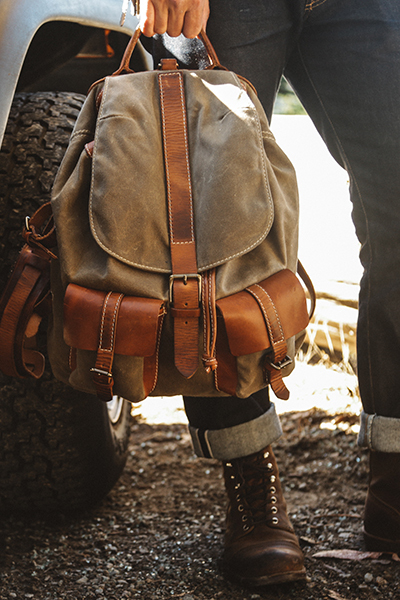 waxed canvas, solid-brass hardware and our LIFETIME WARRANTY, you won't find better American Made leather goods anywhere.